A flurry of education hearings in the House of Representatives and Senate; All4Ed releases a new analysis on the identification of schools for support and a new video on how federal education funding can support dual enrollment; and the middle grades are celebrated. It was a busy week on Capitol Hill with five education-related hearings. Secretary of Education Betsy DeVos testified at two hearings about the President’s fiscal year 2020 budget request. When she spoke before the House Appropriations Subcommittee, sparks flew about issues ranging from funding for charter schools and the Special Olympics to Department proposals regarding how schools should handle sexual assault allegations and school discipline policies. Many Democratic members of the Committee – including subcommittee chairwoman Rosa DeLauro – raised concerns that the President’s budget proposes a $60 million increase in funding for charter schools but an overall 12 percent cut to the Department of Education. More on those cuts in our previous episode of Federal Flash. But perhaps the issue attracting the most attention was the Administration’s proposal to eliminate funding for the Special Olympics. Representative Mark Pocan, a democrat from Wisconsin, asked Secretary Devos if she knew that 272,000 children would be affected by the Administration’s proposal to eliminate $17.6 million in funding for Special Olympics. A video clip of the exchange has gone viral, with over one million views on Twitter. In light of all of the negative attention, President Trump announced he is reversing course. But even if he hadn’t, it’s important to keep in mind that the proposed cuts to the Special Olympics were just that – a proposal. This is the third year that the President’s budget had proposed to eliminate Special Olympics funding. And yet, Congress has continued to provide funding for the program and is likely to do so again this year. Also this week, we released our latest analysis of how well states are promoting equity for historically underserved students as they implement the Every Student Succeeds Act. As a reminder, ESSA requires states to identify two categories of schools with low-performing subgroups. The first is targeted support and improvement, or TSI schools, and states have significant flexibility in how to identify them. The second is additional targeted support, or ATS schools. Unlike the TSI category, however, the law – not states – sets the definition of an ATS school. Under ESSA, states can choose to select ATS schools exclusively from schools that also qualify for TSI. Nine states and Puerto Rico use this approach. In five states, as shown on the right[AH1] of the chart below, we found that this process makes sense, because ATS schools are a natural subset of the state’s TSI definition. But there’s a catch: When states require ATS schools to first qualify for TSI, some schools that otherwise meet the law’s definition of an ATS school may be excluded from identification. Fortunately, as shown on the left, this was the case in only two states, Arkansas and Connecticut. 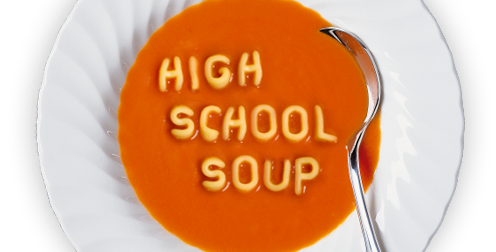 Finally, we’d like to recognize March as National Middle Level Education Month. Representative Raul Grijalva from Arizona introduced a resolution in the House to support middle level education, recognizing the importance of this time in a child’s education and development. Specifically, the resolution states that “neuroscience indicates that the majority of middle grade students are in a critical stage of brain development that promotes productive adulthood.” The resolution also acknowledges All4Ed’s research findings that middle level education is underfunded, creating a “missing middle” in Federal education funding. 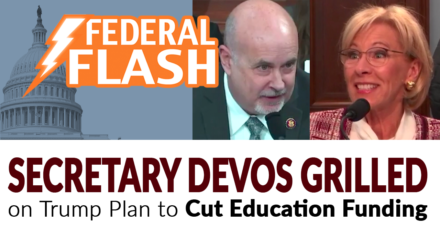 This blog post represents a slightly edited transcript of the March 29 episode of Federal Flash, the Alliance for Excellent Education’s five-minute (or less!) video series on important developments in education policy in Washington, DC. The video version is embedded below. 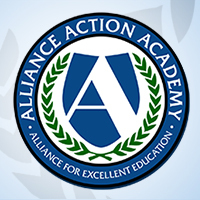 For an alert when the next episode of Federal Flash is available, email at alliance@all4ed.org.